After a lovely weekend of sun, today's dreary rain was ushered in with much less enthusiasm. As if Monday's weren't awful enough. 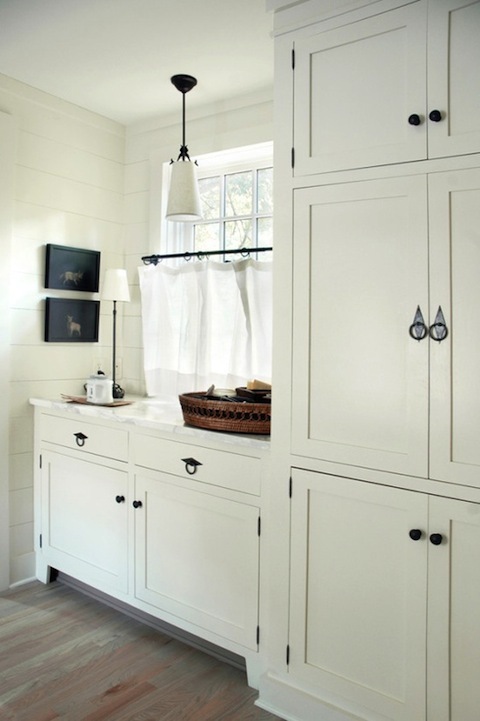 Venturing onto my blog this morning I couldn't think of anything else to post about other than the mud room. 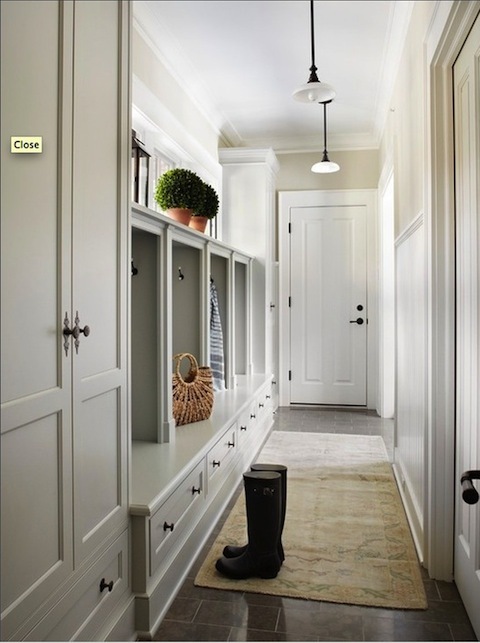 By (loose) definition, the mud room is an entry into your home where you can divulge of shoes and clothing that are either wet, muddy or otherwise worse for wear without risk of dirtying your antique turkish carpets. It's also a place where you can hose-down pets and children who also meet the aforementioned criteria for the same reason. 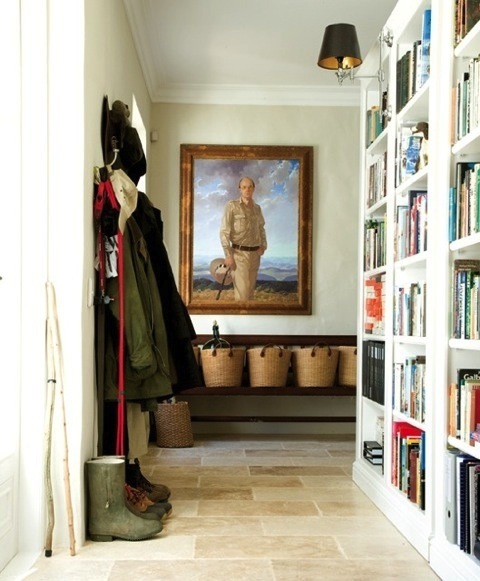 Of late it's become rather a command center, especially for families, with cubbies, hooks or lockers for father, mother, brother, sister, and often the beloved family golden retriever.